A Real-World Test For Drug To Reduce Deaths From Childbirth : Shots - Health News The drug misoprostol can prevent bleeding after birth and save women's lives. And a test in Mozambique shows it can be used safely by traditional birth attendants who deliver babies in homes. A group of traditional birth attendants took part in a yearlong trial of misoprostol in rural areas of Mozambique. Here they review a booklet on proper administration of the pills. Postpartum hemorrhage is the leading cause of maternal death in the developing world. Several groups looking to change that have been running trials with the drug misoprostol, which can prevent bleeding after birth, to show that the medicine can be safely administered by traditional birth attendants who deliver babies in homes. On Wednesday's All Things Considered, host Melissa Block takes a look at how misoprostol is being used in the developing world, specifically Mozambique, to reduce maternal deaths. This spring, the World Health Organization added misoprostol to its list of essential medicines for the prevention of postpartum hemorrhage. Many countries use the WHO's essential medicines list as a guide in drawing up their own lists and deciding which drugs to procure. 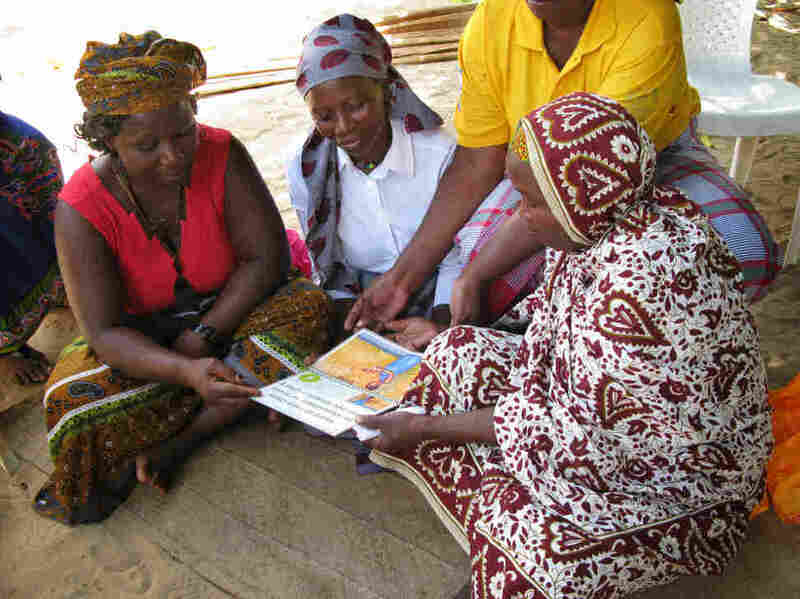 In Mozambique, Block spent time talking with traditional birth attendants who were part of a trial run by the American NGO Venture Strategies Innovations. The birth attendants say in the past, when a woman hemorrhaged after birth, their only recourse was to try to get her to a hospital, but often they had no transportation. They'd all seen women bleed to death. During the one-year trial, they were provided with misoprostol and trained how to use it. With the drug, they told us, the decrease in blood loss was significant. In the past, they'd have to use three to four cloths to soak up blood. With misoprostol they needed just one. Incidentally, for soaking up blood, they use capulanas — the brightly colored cloths that also serve as skirts, shawls, or baby slings. Not everyone is as enthusiastic about misoprostol, though. WHO pharmacologist Suzanne Hill thinks oxytocin, the drug used in the developed world to manage postpartum hemorrhage, is the real essential medicine, and that's what should be promoted. Indeed, the essential medicines list states that misoprostol can be used for prevention of postpartum hemorrhage where oxytocin, which is given by injection, isn't available or can't be used safely. Hill's concerned that misoprostol could divert attention from work on improvements to health care systems in the developing world, so women can get to proper facilities for giving birth. "That's much harder to fix than handing out a tablet and hoping," Hill says. Another factor in the controversy about misoprostol is its use in medical abortions.